Dashboard > Plugins > Installed Plugins > ELEX WooCommerce Catalog Mode, Wholesale & Role Based Pricing > Settings. One-Click Catalog Mode: You can turn your whole store into Catalog mode with just a single click, in the Catalog Mode tab. 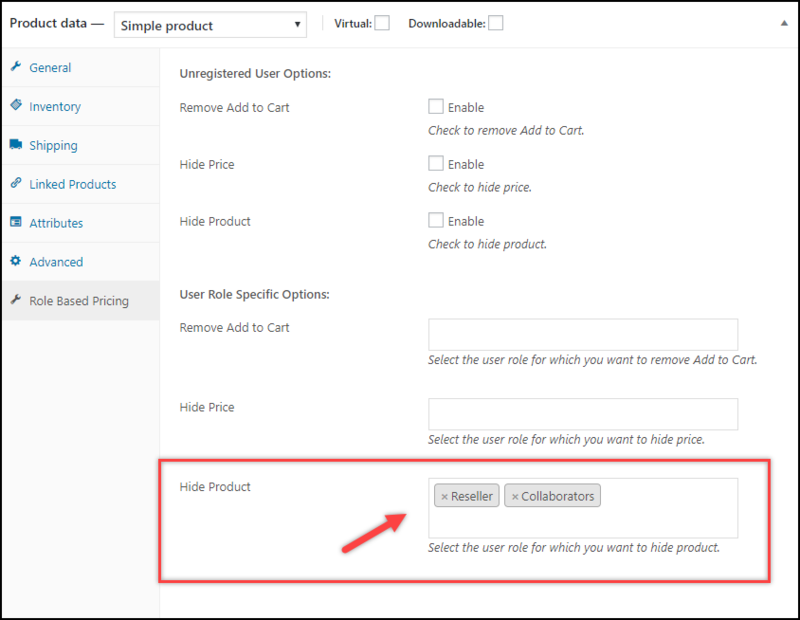 Role-Based Catalog Mode: To achieve role-based catalog mode, you can either hide the Add to Cart button, replace the Add to Cart button, or hide the product price, in the Role Based Pricing tab. 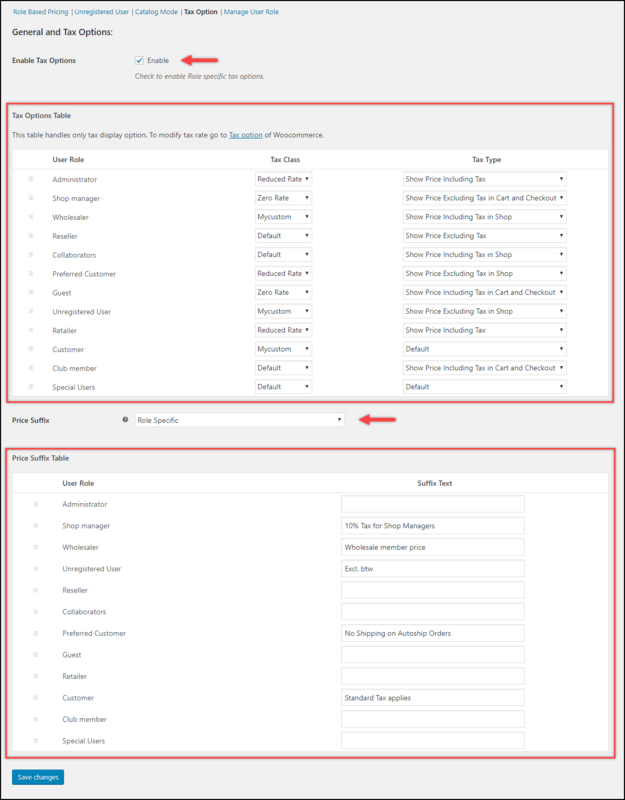 You need to select user roles for each setting, as shown in the sample screenshot on the left. To know more detailed information, read how to turn your store into Catalog Mode?. 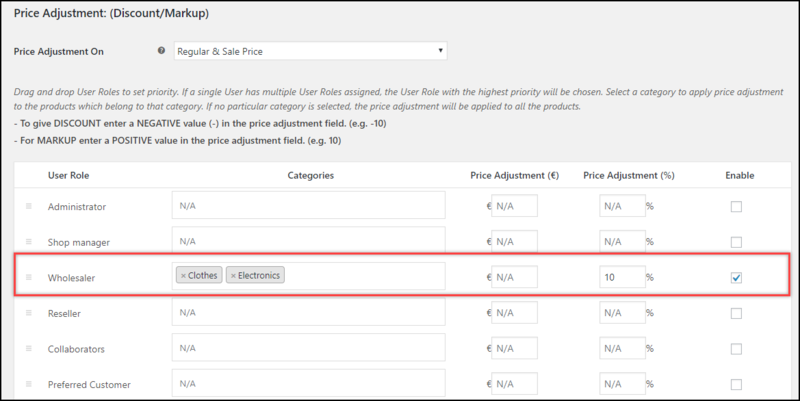 You can set price adjustments for Wholesalers user role in the Price Adjustment table, under the Role Based Pricing tab (Image 3.1). 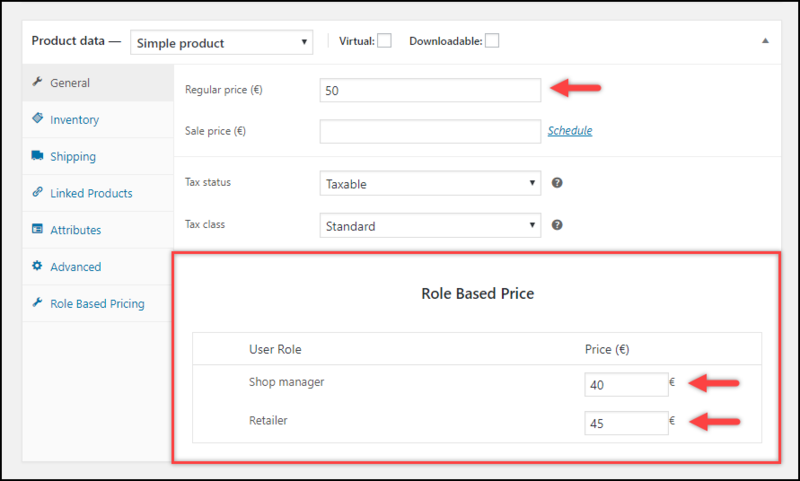 Setting custom product price for wholesalers ~ You can set custom product prices by selecting wholesaler user role in the Individual Product Adjustment setting, under Role Based Pricing settings tab (Image 3.2.1.1), and configuring custom price in respective product settings (Image 3.2.1.2). 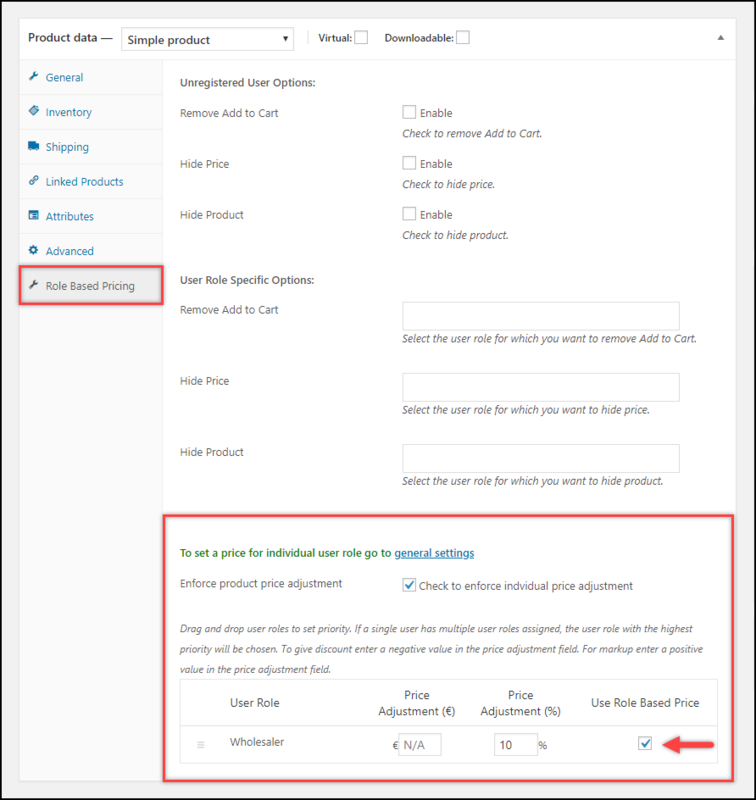 Setting price adjustment for wholesalers ~ In the same way, you can set price adjustments in the Role Based Pricing settings in the individual product settings page (Image 3.2.2). To understand in detail, read how to set up WooCommerce Wholesale Pricing? Instead of hiding the “Add to Cart” button, you can choose to not show some products to specific user roles. 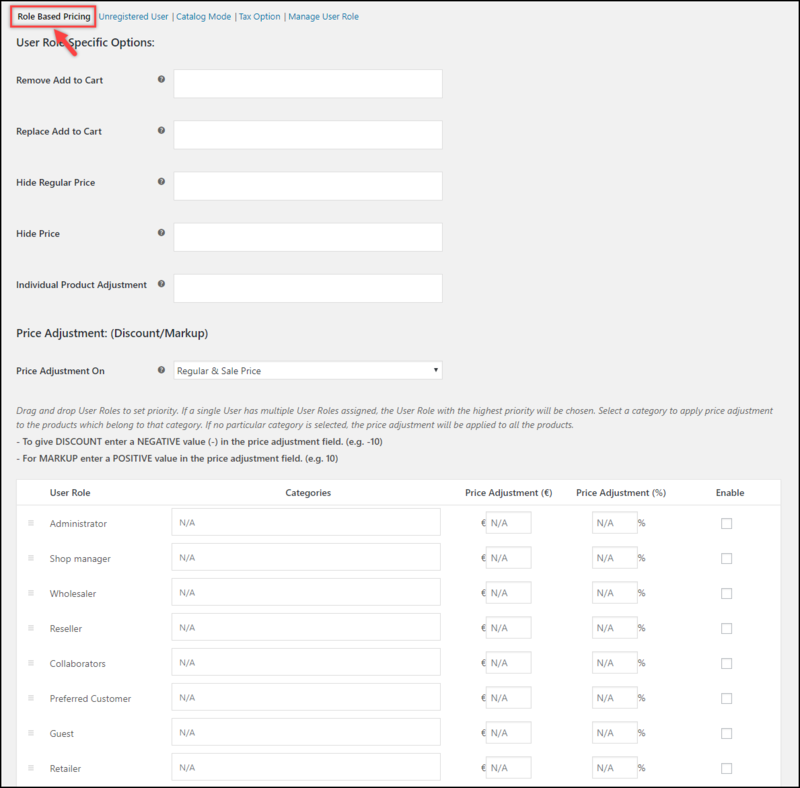 Select desired user roles in the Hide Products in the Role Based Pricing settings, available on the individual product page settings. Configure different types of role-based catalog mode setup and price adjustments in the Role Based Pricing tab. You can apply price adjustments in terms of amount value or percentage value, on the sale price or both regular& sale price. In addition to this, the price adjustment can be applied to desired product categories. In the plugin settings, go to Role Based Pricing tab > Individual Price Adjustment setting. 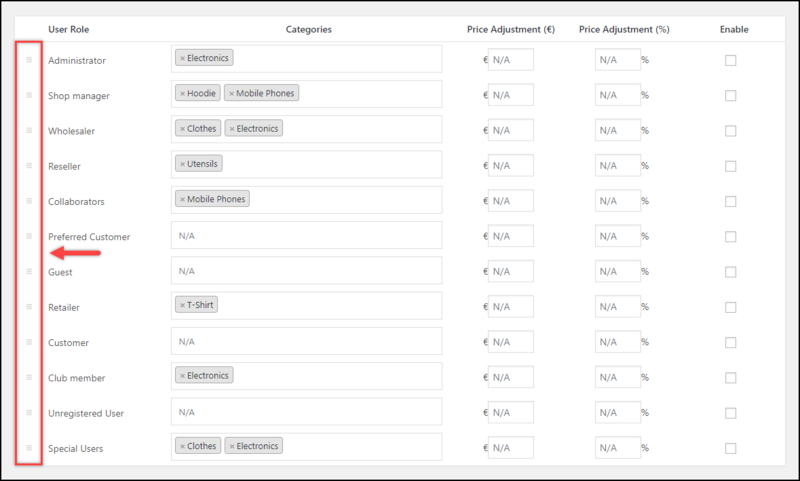 Select desired user role(s) for which you want to configure custom product prices. Next, open required product page(s) to edit and move to the General settings under the product data meta-box. Enter the desired price for the product. A sample screenshot of the product page settings is shown on the left. To understand in detail, read how to set Product Price based on User role section in the setting up documentation. 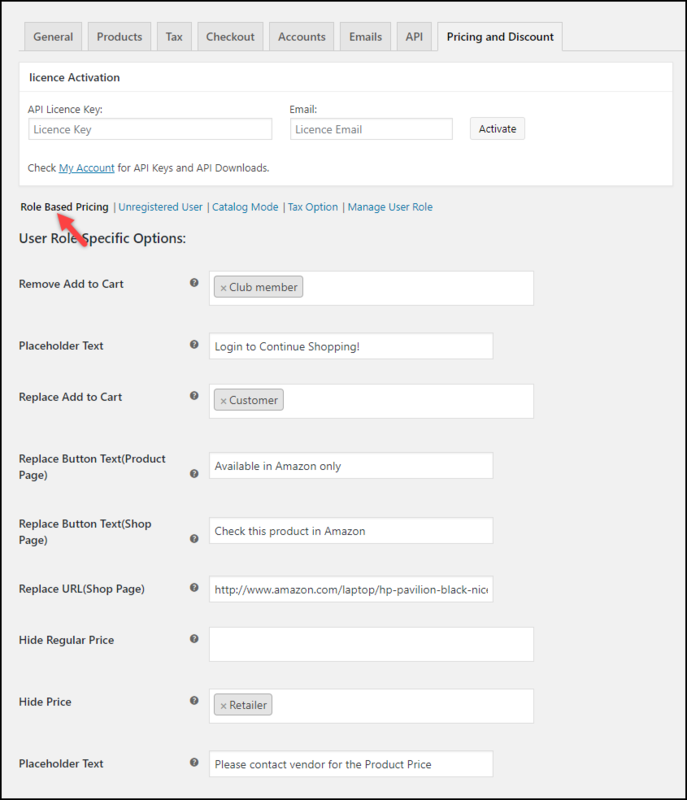 You can assign tax classes(created in WooCommerce Tax settings) and tax display setup based on User role in the Tax Option tab of the plugin settings. Additionally, you can assign a custom suffix based on desired user role(s). For a detailed understanding, read how to configure Tax options based on User Role? There may be instances where you would want to prioritize user roles. In the Price Adjustment table under Role Based Pricing tab, you can drag and drop the associated breadcrumbs of the user role to the desired priority. For more detailed information, read how to Prioritize User roles section in setting up documentation. If the existing user roles don’t match your requirement, you can create custom user roles in the Manage User Role tab in simple steps. For more detailed information, read Managing User Role section in the setting up documentation.